By now almost everyone who has access to TV or the internet has seen the frightful images. I’ll show just one, from the AP by way of CNN.com. One is more than enough. They are almost too painful to look at. Turn on any TV if you want more. Photo by Thibault Camus/AP, courtesy of CNN. We visited Paris in August of last year following our completion of the Tour du Mont Blanc. Like 12 million tourists do each year, we stopped for a tour of Our Lady of Paris, aka Notre Dame de Paris, Cathedral. It is one of the most visited places on Earth. This was the height of the tourist season during a very hot French summer. Though it was tiring, we very much enjoyed our tour, especially of the Cathedral’s iconic bell towers. You can read about our adventures in Notre Dame Cathedral here. What we did not know then is that it would be the our last chance to see the Cathedral as it was. We had no idea that within a year it would be a ruins, partially destroyed by fire. Had we known this, we might have lingered a little longer, looked just a bit harder. Brian remembers complaining about the noise and crowds inside the cathedral. That all seems pretty silly now. What we – what everyone – wouldn’t give to have to all back the way it was, noise, confusion, treasure and all. Most everything you see in this photo, taken on August 5, of last year, is now gone but for the stone. Not only is the great spire of Norte Dame gone – collapsed in upon itself in images that are destined to be replayed again and again – but almost all of the great wooden interior has been consumed by flames. Of its art treasures we know little…but one has to assume the loss is incalculable, nothing any amount of money could hope to replace. Brian had no idea he was looking at something that would soon be a part of history lost when he snapped this hasty photo of the Cathedral’s spire. As stated, we feel an odd connection to this place…odd because we only came here only once, and but for a few days out of our lives we are strangers to Paris, neither of us speaking hardly any French. But of all the places in the City of Light we visited, it was the bell towers of Notre Dame that we enjoyed the most. While we enjoyed the Eiffel Tower too, we felt the views from the Cathedral’s Towers were somehow more impressive. This, somehow, was how Paris is supposed to be seen. We feel honored to be among those who saw it, before…this. Sylvia and Brian have no words to express our sadness at the terrible loss to France, a great nation that has seen more than its fair share of tragedy lately. We feel an odd connection to this place, now changed forever. This post is not meant to be about gloom and doom, though. Fortuitously, there are no reports anyone was killed or injured in the fire, which is at least a start. 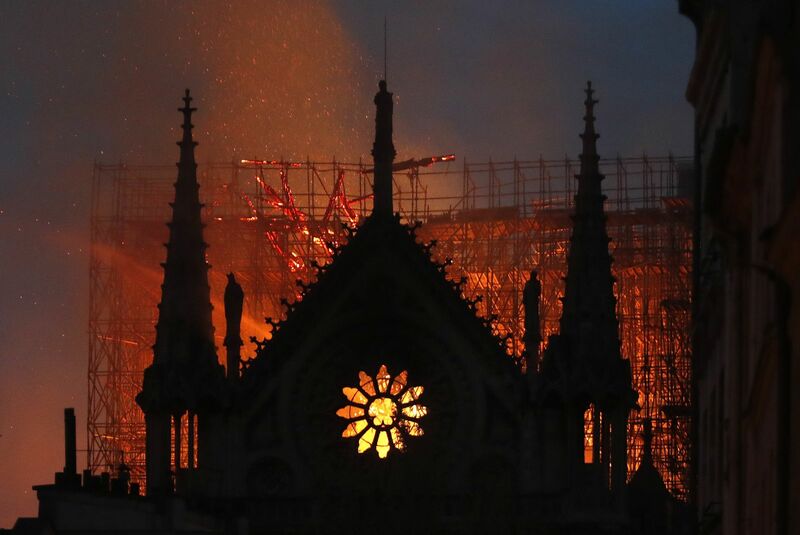 And the latest releases indicate that the Cathedral’s outer structure and the great bell towers that we loved so much have survived, intact. The bells will ring again. The fact is that this is not the first, nor probably the last, transformative event in the Cathedral’s great history. Many, many times over the course of its service has Notre Dame de Paris suffered some sort of calamity. It has been damaged and looted by rioters; by revolutionaries who desecrated it, chopping heads off its statues. It was once sold to a building merchant and used as a warehouse for a time. It survived the occupation of Paris by the Nazis; the spire that collapsed in the fire replaced an earlier one that was damaged by high winds. Almost all of its original stain glass windows have long been gone. Just a few years ago, it narrowly escaped damage from a terrorist bomb. If you look the history of most of the great cathedrals of Europe, one will see that they are in fact no stranger at all to disaster. Most Cathedrals standing today have been partially destroyed and then rebuilt many times during their lifetimes. 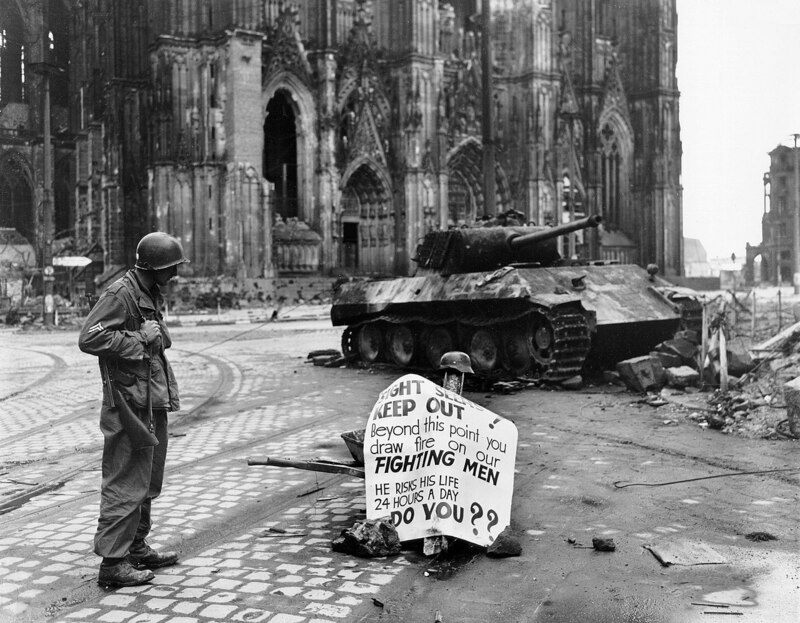 Europe of days past was a place of continual war and unrest and the great cathedrals were not in any way excluded from it. Plus, the interiors of these buildings were once lit by torches and oil lamps. Fire has raged through most of them at least once. Earthquakes have also tested the walls or spires of more than one of these great stone temples. These buildings were made to withstand such epic events and withstand them they will. Below are some images just from this century of cathedrals that were forced to rise from their own ashes and rubble and did so. 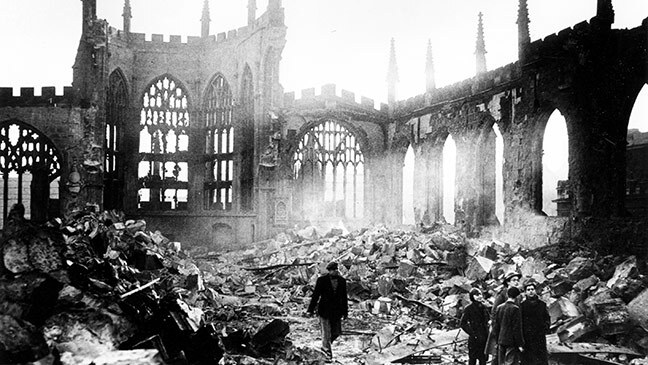 Coventry Cathedral in England was almost completely obliterated by German bombs during the Blitz…only a single wall was left standing. The rebuilt Coventry Cathedral as it stands today. There is no doubt in our minds that Norte Dame will rise again. 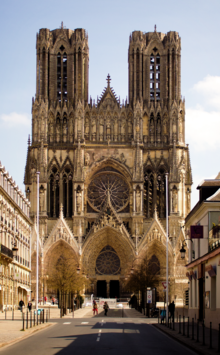 Gothic Cathedrals have proven to be extraordinarily durable landmarks, and this is very special to France. Every effort will be made to restore it. We would not bet against the fact that, when next we return to France, we will hear the great bells of the Cathedral of Our Lady of Paris ringing out once again over the Ile de la Cite. What a rare, positive outlook on this tragic situation. Thanks for a great post.